*NOTE: Partners must be from the same division as male/male, female/female. Division one athletes cannot partner with division two athletes. Mixed doubles is restricted to same division, male/female partners. Division one athletes cannot partner with division two athletes for mixed doubles. 2. Partners must be from the same team. Competitors are restricted from partnering with a different team member. 3. Competitors are solely responsible for finding their partner. Competitors must supply their partner on their own or with their team managers help. 4. Athletes may compete with only one partner per event. Doubles and mixed doubles are classified as events. Therefore, athletes may not compete in more than one age division for doubles or mixed doubles. 5. The age category of competition for doubles and mixed doubles will be determined by the younger age of the two partners the day of Opening Ceremony – July 18, 2020. 1. There will be a three game series in both the singles and the doubles competition. 2. The highest combined score in each competition is the winner. 3. One category will have the highest gross score overall and the second category will be the highest score based on averages (USBC averages need to be provided). 4. USBC averages must be from an approved USBC league based on a minimum of 21 games. 1. Singles- Medals will be awarded to first, second, and third to Division 1 and Division 2 athletes by age group and gender. First, second, and third to Division 1 by age group and gender. First, second, and third to Division 2 by age group and gender. First, second, and third to Division 1 (M/F) by age group. First, second, and third to Division 2 (M/F) by age group. 1. Designated team captains will submit doubles team names at check-in. Doubles team competitors must be pre-registered to compete in the event. 2. Team captains may NOT submit doubles participants that are not pre-registered for scheduled doubles event. 3. Bowling staff will be responsible for queuing competitors and directing them to the appropriate lanes. 4. Children 10 and under will use gutter pads. The United States Bowling Congress rules apply (www.bowl.com). With some modifications. 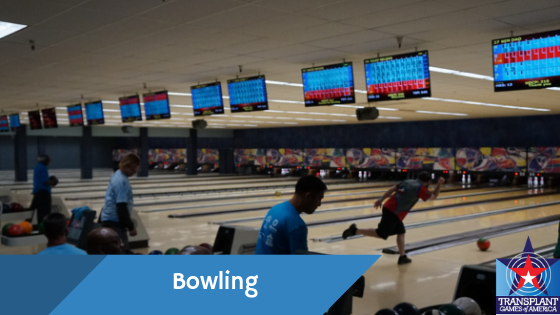 Once an event is completed and results are available, bowling staff must record all competitors and scores to the appropriate system/documents. When electronic scoring is being utilized a manual backup system must be in place to record results.